Cartagena is Colombia’s most popular tourist destination. 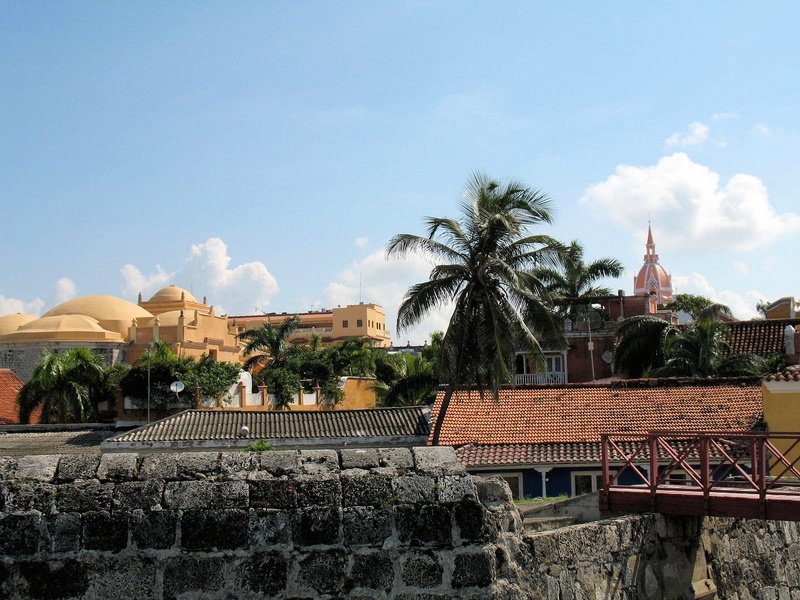 Located on Colombia’s Caribbean coast, it’s one of the world’s few remaining walled cities. It’s a unique Spanish-colonial environment, unlike any other in the Americas. Potential expats, however, rarely think of Cartagena as an expat destination, and individual property investors often overlook its investment potential. In both cases, they are misinformed… or uninformed. 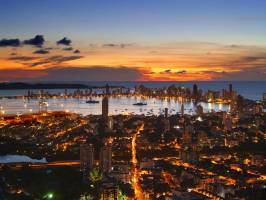 Cartagena is in fact a very popular expat destination and has been for a long time. It’s also been quite generous to investors over the years. And, with foreign investment dollars continuing to pour into Cartagena’s hotel, development, and tourism infrastructures, its prospects are as bright as ever. What’s more, Cartagena is currently a bargain. This UNESCO World Heritage Site had gotten quite expensive over the years, but today it’s one of many markets that have become far more affordable thanks to the U.S. dollar’s current strength against the local currency. Founded by the Spanish in 1533, Cartagena rapidly became a thriving seaport. In fact, it was at one time second only to Mexico City in commercial importance in the Western Hemisphere. It made quite a first impression during my first visit. I knew Cartagena was a walled city, but I didn’t expect such a massive wall. More than 40 feet (12 meters) wide, you could drive two pickup trucks abreast on top of it. It’s almost 7 miles long. 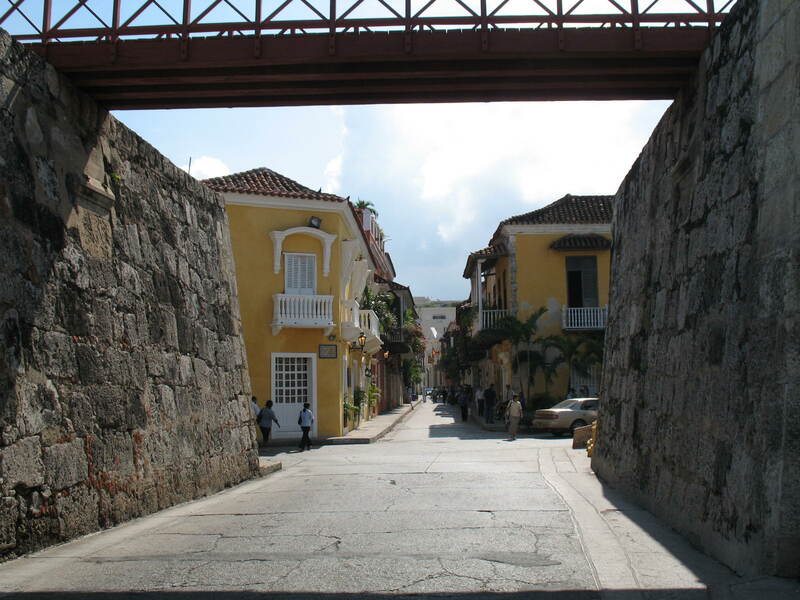 And within that wall, you’ll discover one of the finest colonial centers in the Americas. You can easily spend a few pleasant days wandering Cartagena’s small cobblestoned streets and alleyways, discovering its lush parks, tiny hole-in-the-wall restaurants and cafes, and wide range of shops. The beautifully preserved historic center is what puts Cartagena on the map for most people. But for expats and property investors, it’s only one part of the picture. 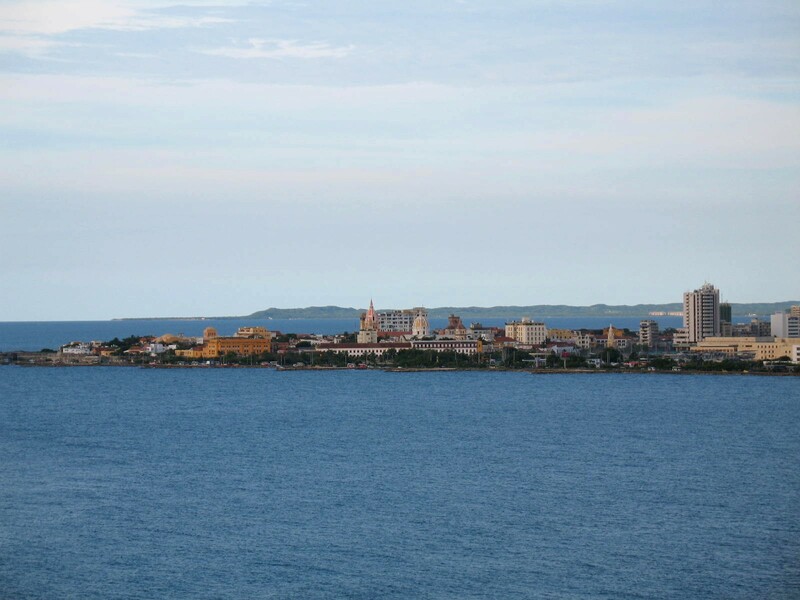 Cartagena also offers over 12 miles of Caribbean beaches outside the historic center. This is the area that’s really on the move. The first thing you’ll need to decide is whether your interest lies in the historic city or the beach areas, which are a few minutes away by cab. Take a look at the map below to get a feel for the layout. If you prefer the colonial city, then you’ve got another choice: inside or outside the wall. Within the wall, you’ll find Centro and San Diego—the colonial sectors that are almost 100% restored and are the heart of Cartagena’s tourist industry. These areas are safe and attractive and are the Cartagena market’s most expensive sectors. Between the two, I found San Diego to be more homey, less touristy, and a better place for expat living. Outside the wall—but still in the historic district—you’ll find Getsemaní. Here properties become less expensive, although they’re not cheap. When I first traveled to Getsemaní in 2006, it was run-down and dangerous. You had to be careful during the day, and no one with any sense went there at night. Nonetheless, at the time, I reported this as a potential upcoming area, where a person with US$200K could make a gamble on its future restoration and turn a nice profit. Today, however, even The New York Times travel section is talking about Getsemaní, so its days as an undiscovered bargain are clearly over. Within easy walking distance of Centro and San Diego, it’s become trendy, with attractive bars, boutique hotels, and popular night spots. It’s also become relatively safe. Of course, now it’s more expensive, although most areas are about half the price of properties inside the wall. Among the beach areas, the most popular are El Laguito, Bocagrande, and Castillogrande—all within walking distance of one another and a short cab ride from the historic district. El Laguito is the most bustling beachside tourist destination, with an attractive area of cafes and restaurants. It’s the most popular area for expats. The beaches are busy with vendors selling everything imaginable, from tablecloths to cold drinks to cigars. Women prowl the beach with bottles of lotion offering massages to both male and female beachgoers, while the occasional call girl strolls the sands looking for clients. For a part-time, beach-oriented home in the Cartagena area, the best buys are in El Laguito. Generally speaking, properties tend to be smaller here and perform better as rentals. Castillogrande is a high-end residential area with quiet, peaceful beaches and few tourists. The tranquil, tree-lined streets are well-kept and lined with attractive homes and high-end apartments. Unlike El Laguito, apartments here tend to be large (more than 2,500 square feet) and more apt for year-round living or luxury part-year living. Bocagrande’s character and real estate prices vary between El Laguito and Castillogrande, depending on where you are. Spanning the short distance between the ocean and the bay, the ocean side reminds me of a somewhat quieter version of El Laguito, while on the bay side it looks and feels like Castillogrande. In my experience, these annoyances are worse in Centro, on the bay side of Bocagrande, and on the beach at El Laguito. They’re less notable in San Diego, Getsemaní, and the off-beach areas of El Laguito. And they’re almost nonexistent on the bay side of Bocagrande and in Castillogrande. Tourist annoyances are nothing new and haven’t diminished Cartagena’s popularity, which continues to blossom in all corners. At today’s exchange rate of 2,534 pesos per U.S. dollar, property prices in Cartagena have rolled back to levels we haven’t seen in years, due to the dollar’s current strength. Here are a few examples of what’s on the market today. An ocean-view apartment in Laguito with two bedrooms and three bathrooms also has a sought-after view of Tierra Bomba Island. The property includes 110 square meters (1,185 square feet) of living space and two garage spaces and comes fully furnished for an asking price of US$146,000 (370 million pesos). The two garage spaces on this property will be a big plus at resale time. Parking is at a premium, and garage spaces are a good asset. In Bocagrande (Caribbean side), we found another fully furnished, beachfront apartment on offer. It has two bedrooms and two bathrooms in 94 square meters (1,010 square feet) of living area, with an awesome view to the ocean and historic center. The asking price is US$157,900 (400 million pesos). With great views to the Bay of Cartagena, a brand-new, 71-square-meter (765-square-foot) studio loft apartment is on the market in Castillogrande. The one-bedroom, one-bathroom apartment offers top-quality finishings and a spacious balcony, while the building provides central air-conditioning, pool facilities, and full-coverage power generator. Studios are priced from US$228,000 (578 million pesos). In the heart of historic Cartagena, we found a nice blend of historic and modern architecture in a newly restored, 17th-century colonial building. Lofts and apartments of one to four bedrooms are available, with areas from 60 to 273 square meters (645 to 2,935 square feet). Prices for the single-bedroom lofts start at US$268,350 (680 million pesos) and go up from there. The building offers individual residences with inner gardens, swimming pools, and terraces. On the first floor, there are also common gardens and common swimming pools, with a stream which connects all of the patios. Gym, sauna, steam bath, and massage room are on the third floor, with an open-air workout area for aerobics. These would make great rental units. My preferred contact for Cartagena real estate is Jim Main of Cartagena First American Realty. Follow the link for more information from Jim or to see his full selection of properties. Cartagena offers good connections to the United States, with nonstop international flights to Miami, Fort Lauderdale, and New York City. Its property market is strong, and I expect its solid historic performance to continue for investors and homeowners. If you’d like a part-time home on the Caribbean… or you’d enjoy owning a property in one of the finest colonial centers in the Americas… or you are looking for a solid property investment in a world-renowned city… then Cartagena may be right for you. I was reading a recent newsletter and saw a letter to the editor about a couple that had property in Ecuador and was wondering who would get it after a death. They might investigate the use of a living trust, which I am using to stay out of the legal systems of foreign countries. In some countries, it’s a pain to get them to accept the use of a trust for ownership, but, in my opinion, it’s the best way to own a foreign property. I have no relatives, so a living trust makes my succession far easier. I mentioned holding the property through a structure or entity, and Bill’s suggestion of a trust is an excellent option. But, as he points out, make sure that such a structure is accepted for holding a property in your country of choice. Sometimes it’s no problem, but, in some places, you’ll be required to officially register your trust with the host country, or even set up another local structure to pair with it. I just read Lee’s article on inheritance laws abroad, and wondered how it affects single individuals like me. I have no wife, no children, and no ex-wife. Where would I fit into the scheme? Good question. If you have a will and no close relatives, your property can go to anyone you like. The key thing to remember, however, is to let your heir know that the property exists and that you’ve mentioned him or her in your will. Also, you should provide your heir with an in-country contact (such as a lawyer) to get hold of in the event of your death. If that doesn’t happen, the heir and the property may never cross paths. If you don’t have a will, spouse, or children, the property would go to any living parents, then possibly siblings. But if no one comes forward to claim their rights, succession will likely never happen. Without a will, there’s a high risk that the property will end up with the state.